Early this month, President Donald Trump shared that he was leaning towards supporting new bipartisan marijuana legislation – delivering a blow to Attorney General Jeff Sessions. U.S. Attorney General Jeff Sessions has been an outspoken opponent of marijuana. He lifted an Obama administration policy and freed federal prosecution to more aggressively pursue cases in states where marijuana has been legalized. When addressing the media at the White House just before departing for the G-7 summit, the president said he would “probably end up supporting” the recent bill being circulated through the Senate by Gardner and Warren. 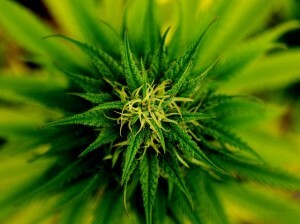 While this piece of legislation would not legalize marijuana, it would ease the federal ban on marijuana. At the moment, the marijuana industry is struggling to grow under a two-tiered enforcement system at the state and federal levels. If this proposal is successful, it would leave it up to each individual state to decide what the best approach to marijuana is within their state. For consumers and merchants, this legislation would protect the individuals who choose to use or sell cannabis (as long as they are following state local laws). For example, the bill would amend portions of the Controlled Substances Act, ensuring that buying or selling cannabis would not be considered drug trafficking. Even so, some federal restrictions will remain (e.g. sales of non-medical marijuana to individuals under 21). Besides the ease in federal restrictions, how will President Trump’s support impact marijuana businesses? At the moment, marijuana companies are forced to operate in cash-only. They struggle to secure loans and merchant accounts from banks. The changes this bill would lead to would allow banks and financial institutions – currently fearful of federal prosecution – to freely work with any marijuana merchant adhering to state laws. In the meantime, the marijuana industry continues to rely on high-risk providers like Marijuana Merchant Account. Your cannabis company can take advantage of a full suite of payment solutions that work for your business. These merchant services allow you to accept all card types for a convenient customer experience and utilize recurring payments for discount payments and memberships. ECheck processing also allows you to accept electronic checks over the phone or internet. If you need secure payment processing, consider the many benefits of working with Marijuana Merchant Account. Your account can be setup in as little as 24 hours. This entry was posted in New Jersey Marijuana and tagged Recreational Marijuana in New Jersey by admin. Bookmark the permalink.